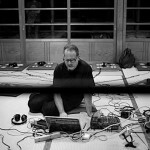 Stijn Demeulenaere is a sound-artist, a radio maker and searching musician. He holds degrees in sociology, cultural studies and studied radio at the RITS school of arts. 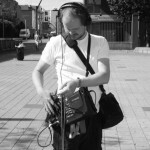 Stijn was the curator and producer of the free form radio show ‘Radio Eliot’ on Radio Scorpio. He worked as an editor for Jan Fabre and worked as a journalist for the Belgian public radio stations Klara and Radio 1 and for the independent radio station Radio K Centrale in Bologna, Italy. He was a founding member of the improvisation collective Karen Eliot.